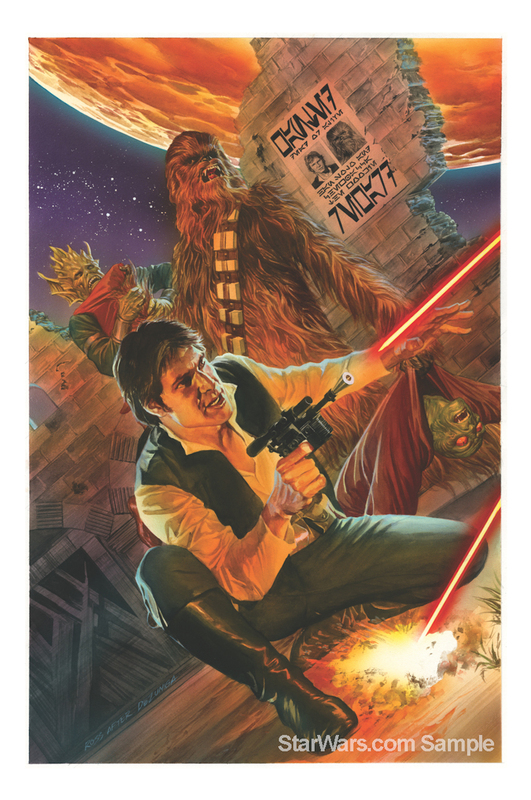 Check Out More Than 30 Pieces from the Star Wars Celebration Art Show! 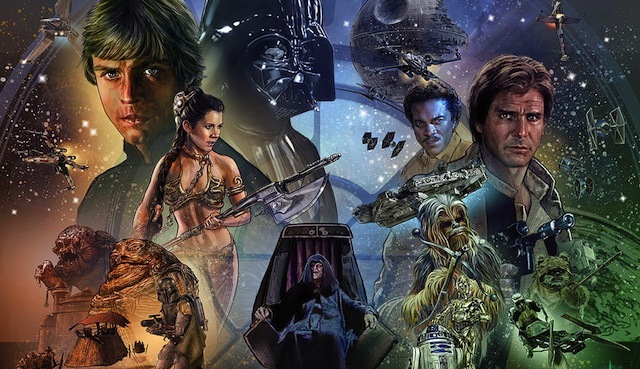 The much-anticipated Star Wars: The Force Awakens is hitting theaters this December 18th, but many fans are first looking forward to this year’s Star Wars Celebration, set to be held in Anaheim, California April 16 through 19. Today, StarWars.com has an exciting update: J.J. Abrams will join Lucasfilm President Kathleen Kennedy in person to kick off the festivities at 10:00 a.m. on Thursday, April 16! And that’s not all, either. The site has also debuted more than 30 pieces of artwork from the upcoming event, all of which you can check out in the gallery viewer below! Celebration – Lucasfilm’s love letter to fans – is four fun-filled days of costumes, exhibits, a vibrant, interactive show floor, screenings, exclusive merchandise, celebrity guests, panels, autograph sessions, fan-inspired activities, and other surprises celebrating all things Star Wars. Star Wars Celebrations deliver a landmark experience where memories are made, families brought together, old friends reunited, and new friendships formed — all in the setting of the ever-evolving Star Wars universe. It was revealed earlier this year that Celebration will offer, for the first time ever, a screening of the 3D version of Star Wars: Episode III – Revenge of the Sith as well as the premiere episode of the second season of “Star Wars Rebels.” With Abrams and Kennedy there, however, it’s a pretty safe bet that we’re in for quite a few big reveals that weekend. SuperHeroHype will be there, so check back for updates as they become available!